Ubuntu is popular Linux distributions used by millions. In order to access Ubuntu systems remotely we use ssh protocol. So in order to access and manage Ubuntu systems the ssh server should be installed and running without restriction like firewall. In this tutorial we will look how to install, start and troubleshoot SSH service in Ubuntu, Debian, Kali, Mint. We can use this tutorial distributions like Debian, Kali and Mint too because of their origin and system base are the same. We can install OpenSSH service with different ways but the most straight forward way is using apt package manager. 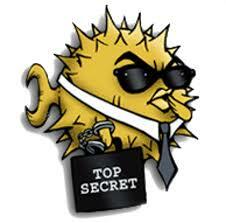 We will use apt install to install OpenSSh Service. This requires root privileges. By default OpenSSh service do not starts automatically. We need to start OpenSSH service explicitly by using systemctl command. systemctl command is provided by default recent versions of Ubuntu, Debian, Kali and Mint. If it is not installed install systemctl . In order to get more details look following tutorial. Services starts, stops but how can we show or list current status of SSH service. We will use systemctl status command in order to list current status of the SSH. We can see that green active (running) text that shows SSH service is running. In some situations we need to restart the SSH service. Configuration change in SSH service requires SSH restart in order to take affect. We can restart SSH service like below. This will reload SSH service with the latest SSH service configuration which resides in /etc/ssh/sshd_config . After system reboots or boots the SSH service do not starts automatically and starting it explicitly is a trivial task. We can enable SSH service start automatically after system reboot. If we do not need to start SSH service at the system boot we can disable automatic start with the following command.